That is patently absurd. There has never been a CO tank found or demonstrated to have been used to gas people, it simply is preposterous. i see not a reason why co bottles should be found if true.i consider the ss so intelligent to sent the bottles back to the manufacture after use, dont you think so??? there it reads: "I request that you use steel bottles with carbon monoxide or respectively other remedies to get things started.". "Q: Where was that carbon monoxide obtained, by what process? A: It was in a compressed gas container, like a steel oxygen container, such as is used for welding - a hollow steel container." the statement is the opposite of patentely absurd, its reliable!!! be aware, Hannover is the moderator and he censors and bans. Last edited by Germania on Sat Dec 27, 2003 8:49 am, edited 1 time in total. Germania, in an attempt to find the mythical and patently silly CO (welding) bottles comes up with a 'gas vans' story that is ludicrous in its content and laughable in it's assertions. He finds comfort in material from the so called 'holocau$t' History Project, that was a mistake. Typical of the 'holocau$t History Project' we find fake documents in abundance, this batch concerns the never found 'gas vans'. [Rauff's] "personnel file (copies in the author’s possession) shows that his initial profession was “marine officer”. He left the navy in late 1937 for personal reasons and transferred to the RSHA. In May 1940, however, he returned to the navy and left it one year later as lieutenant commander. From autumn 1941 to May 1942 he was stationed in Prague, just as he claims. As of June 1942 he was on SD duty in north Africa, and later in Italy, at least until May 1944, when the Italian front collapsed. In addition, I have this from FP Berg who debunks the 'sonderwagen', 'S-wagen' canard. there is nothing silly or mythical with these bottles. you can buy them still today if you go to a gas producer. From autumn 1941 to May 1942 he was stationed in Prague, just as he claims. besides, please show where you know the letter was written from berlin. this is a challenge!!! There is also an oddity at the end of the letter : Pradel's rank is mentioned as "Major". However in the SS, ranks had other names and his should have been therefore Hauptsturmführer", equivalent to that of major. where do you know pradel was in the ss? not everybody in RSHA was member of the ss!!! besides, who would forge ss document and using major??? makes no sense. the only reasonable possibility is that this was written by rauff in march 42.
so you have no evidence, i wont even mention proof, that the document is fake. infact, the documents looks absolutely authentic!!! my point stands!!! co bottles are mentioned in ss document, therfore brack eutansie gassing tesimony is verified!!! I notice we still have no welding bottles of CO to show, and I notice that Germania has ignored the vast majority of information I presented. What's even more absurd is the designation of Mauthausen, where there are no longer any claims of gassing, even from the major 'gassing' Believers. And furthermore, Germania is remiss in his knowlege of the RSHA as he fails to understand that the RSHA was part of the SS where the designation of 'major' is quite incorrect and howls of forgery. Then we're back to 'sonderwagens' (another laughable "code word" I suppose), which, as Berg demonstrates, are nothing but innocent trucks. Not only do we not have any of the metal welding bottles of CO, we have no 'gas vans' either to show. Undoubtedly the Nazis vaporized them. The entire matter is preposterous, especially in light of the fact the original propaganda stated that the gas vans were diesel...oops. what do you mean "to show"????? ask yourselve, if it were true, do we expect bottles to show? in other words is it likely that the ss forgot the bottles in the eutanasie institutes??? no...and honestly, it is absurd! infact,if we had bottles i would strongly doubt in their authenticy since it is just absurd that the ss left the bottles in the eutanasie institutes for months or even years!!! and I notice that Germania has ignored the vast majority of information I presented. because has nothing to do with the topic. What's even more absurd is the designation of Mauthausen, where there are no longer any claims of gassing, even from the major 'gassing' Believers. this is not true. 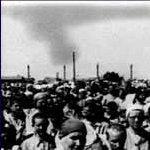 believers do claim there were gassings in mauthausen. well,well...germania has very good knowledge on RSHA since its true that not everybody was in the ss. "The service of the truck was the task of major predel, who i personally know and with whom i dealt very often." (reference: aktenzeichen ZSL: 415 AR-Z 220/59, Bd. I, Bl. 43.). so your "quite incorrect" rank claim is unfortunatly backfiring. any forger would adress pradel with his ss rank, dont you think??? however, only insiders who worked with him knew that he wanted to be adressed with his police rank. pradels preference for "major" is insider knowledge. rauff was the insider, of course!!! this is confirmation of the authenticy of the letter....aside that it has signatures of rauff and pradel and other charakteristics...!!! Then were back to 'sonderwagens' (another laughable "code word" I suppose), which, as Berg demonstrates, are nothing but innocent trucks. but berg has not demonstrated that the s-wagen the believer claim were gas vans were "standard-wagen". if he has proof for his hypothesis, i would like to see else we can ignore it. - So according to Germania's logic, the fact that there is no evidence of these 'bottles' is in itself 'evidence' for these bottles. And ofcourse, he cannot show us a 'gas van' either, which according to him is also proof they existed. Alice in Wonderland to be sure. - Germania now denies that his post had anything to with 'gas vans' even though the 'holocau$t History project', which he links to, absurdly labels it "special vans...or other remedies". I suggest he should actualy read the pages he links to. "...the declarations on the gaz chamber at Ravensbrück place the beginning of its existence in Febr. 1945, date of the arrival of those evacuated from Auschwitz, date when the Ravensbrück detainees discovered the existence of gaz chambers at Auschwitz. - Then we have Germania clinging to his use of 'major' for Pradel while not being able to show that Pradel was not in the SS, even though the RSHA was part of the SS, revealling Germania's obvious lack of knowlwdge about the RSHA. Citing instances where Pradel was called major in an ***English*** text (which would ofcourse use 'major' as the translated rank) does nothing to show that in the SS he would not be designated as 'major' in SS German language 'documents'...which is how he was referred to in the German language 'document' Germania linked to....a forgery dead giveaway. - Germania has apparently not even read Berg's debunking of S-wagens/sonderwagens since he makes no specifc comments, here it is again. Sorry Germania, I don’t find the reference to carbon monoxide in that article. These were used for desinfestations of clothes. The idea of the correspondence was to manufacture something like this locally. The German word "Vergasung" was also used in the years after WWI up to WWII in connection with desinfestation with HCN. okay hannover...you want me to examine bergs text...big mistake, but i must do now!!! The use of a capital "S" in connection with German motor vehicles, particularly trucks, meant the exact opposite of "Sonder"--it meant "standard." i notice berg does show not one document where s-wagen stands for standard-wagen. even worse: i notice berg shows not one document from rauff department that s-wagen meant standard-wagen. even worse: i notice berg doesnt show s-wagen meant always standard-wagen in rauff department. in other words,berg has shown nothing which would be important. 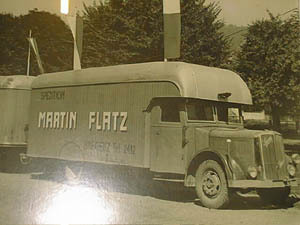 The above facts about classifications are discussed in countless books on German wartime trucks. words, words, words. how about showing us some documents from rauff department??? and moreover and this is the most important thing, has berg ever thought about that the RSHA would have wanted to camouflage the gas vans, if they existed. what would be bether camouflage than to call them s-wagen??? infact his reasoning makes only sense for those who disbelieve in gasvans anyway!!! its no universal argument however!! Last edited by Germania on Tue May 06, 2003 1:02 am, edited 1 time in total. Hannover wrote: - So according to Germania's logic, the fact that there is no evidence of these 'bottles' is in itself 'evidence' for these bottles. no you misread my logic and not answered my question. assuming for the sake of argument it happend, is it likely that the ss forgot the bottles in the eutanasie institutes??? yes or no??? do you think the ss was stupid, yes or no??? - Germania now denies that his post had anything to with 'gas vans' even though the 'holocau$t History project', which he links to, absurdly labels it "special vans...or other remedies". well,i dont care as much about their labels as you do!!!! I suggest he should actualy read the pages he links to. no i make my own mind. he is called major in the ***german*** text. major is no translation, it was used in the german text...!!! Given that you cannot show us a 'gas van', why should we believe you at all. But wait, didn't you say this thread was not about the silly gas vans?...yet you're now talking about these mythical gas vans...which you cannot produce....along with the CO gas welding tanks which you cannot produce. This is getting boring. has berg ever thought about that the RSHA would have wanted to camouflage the gas vans, if they existed. what would be better camouflage than to call them s-wagen??? infact his reasoning makes only sense for those who disbelieve in gasvans anyway!!! its no universal argument however!! So by your reasoning the SS called them 'S-wagens' as camouflage, which ignores your own posts which also call them 'sonderwagens'..which ignore the lack of any physical evidence, which ignores the allegations they were diesel, which conflicts with your CO welding tanks 'gassings' assertions. I'm afraid you're not making sense here. The SS were not stupid at all, which is the reason they would not have resorted to laughable diesel 'gas vans' and CO welding tanks for murder...such bizarre allegations are the epitomy of stupid. Okay now Germania, please prove to me Pradel was not in the SS. Your examples are not Pradel, and would appear not to be correct anyway. We're talking about Pradel, and it would also appear that you do not know the SS so well. And you are right, Pradel was called 'major' correctly in English text (which you posted), AND erroneously in German text, hence we have a forged German 'document' with the designation of 'major' as a dead giveaway. Germania, you're going around in circles. John Milsom, German Military Transport in WWII. Hippocrene Books, NY: 1975. However, a better explanation is that some have read more into documents than they really say. Also, all German vehicles had special numbers. A Tiger I tank, for example, was a Sonderkraftfahrzeug 181. A Kfz 93 was a van used for delousing clothing, i.e., a gassing-van. A Kfz 92 was a decontaminating van capable of showering 150 men per hour. These vans were usually mounted on the uniform Einheits diesel chassis. Here is a photo of a Zyklon wagen from 1922 used for delousing in the Allied occupation after WWI. Bottled gas is no big deal either. Here is a "gassing" Strength Through Joy Volkswagen Beetle. It has a tank of bottled combustible gas used for propulsion due to the shortage of gasoline and diesel fuel during the war. Strength Through Gas! Maybe they meant Death by Gas! Other vehicles used carbon monoxide gas for precious motor fuel generated cheaply from burning wood. Here is a Holzgas-powered Kübelwagen. It makes no sense that the Germans would bottle carbon monoxide gas for murder-vans when gasoline engines generate plenty of it in the exhaust, as did hundreds of thousands of Holzgas generators used during the war. One thing that doesn't generate carbon monoxide is diesel engines, however. One account from the Soviet Krasnador and Kharkov gas-van trials in 1943 is a guy who saved himself from being gassed by urinating on a rag while riding in the back of a Saurer diesel "murder-van." That might have worked in the trenches for Granddad in 1915 with chlorine gas but it wouldn't work with carbon monoxide. Undaunted, the Soviet autopsy reports say death by CO, which again, is one of the biggest killers, especially in wartime from fires and bombardments. No surprise there. Unless someone can come up with better stuff, the homicidal gas-van story is just typical wartime Greuelpropaganda. i see discussion with you,hannover,is not productive and makes no sense. you are putting words in my mouth, misinterpret, misunderstand and and and.... i save my time and energy for more challenging debate. Since when did SS members "prefer" to call themselves anything other than what was officially designated by the SS? His 'police rank'? That won't work either, the RSHA was part of the SS. I also see you stopped trying to support your belief in 'gas vans' and CO gas welding tanks. That is a wise move. Hannover wrote: Since when did SS members "prefer" to call themselves anything other than what was officially designated by the SS? pradel was offically designated MAJOR and only had a so called equivelent ss rank.